Steve Kee is a communications industry veteran, Steve began his career in broadcasting as a news and sports reporter with CKO Radio and CIDC-FM Radio. He worked as Assistant Vice-President, Communications for Sun Life Financial and Director of Corporate Communications for TMX Group, Inc. He played a key role in the communications efforts leading up to the Toronto Stock Exchange Group’s initial public offering of its common shares in 2002. He is also a former communications business owner. Steve joined IBC in 2011 and oversees all corporate media activities. Steve graduated with honours from the Humber College Radio Broadcasting program and has completed leadership development programs with The Wharton School, University of Pennsylvania; Duke Corporate Education; and The Niagara Institute. Steve is an instructor with the School of Media Studies and Information Technology, Humber College. The following letter to the Editor was submitted to the St. John’s (Newfoundland) Telegram in response to a column on auto insurance on November 21 by Brian Jones. Amanda Dean, Vice-President, Atlantic, for Insurance Bureau of Canada offered this response but it was not published by the newspaper. “To insurers, the landscape that Brian Jones paints in “Newfoundlanders are the caplin of mankind” is rather glorious. Jones claims that insurance companies can charge whatever they want for auto insurance, whenever they want. I would suggest to Mr. Jones, that he please give Insurance Bureau of Canada (IBC) a call to get his facts straight – the numbers are widely available. Much of the data he references is widely available for the industry as a whole in the province. It is also discussed in the transcripts from the public consultations the Board of Commissioners of Public Utilities (PUB) held regarding auto insurance over the last few months, of which Jones apparently only read a portion. He suggests that insurance companies are getting rich off the backs off the hardworking people of Newfoundland and Labrador (NL). This is pure fantasy. In 2017, auto insurance companies paid out $1.01 for every $1.00 they wrote in premium. That includes paying taxes to the province in addition to paying salaries and commissions for the Newfoundlanders and Labradorians who work for the industry. Yes, this means that it is costing insurers to do business in the province, and it has been this way for years. To be fair, the industry does not expect Jones or any other insurance customer in the province to care whether they make money or not. 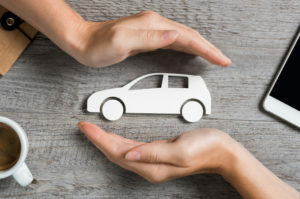 In fact, insurers just want to be able to honour their policies within the province and pay their bills with the pool of funds collected in the province – the way insurance is designed to work. That is currently not happening. The simple solution would be for insurers to ask the PUB to approve rates that would put them back in the black. But that is not going to help drivers’ pocketbooks. That is why the insurance industry is making recommendations to fix the system: control costs and get better care to accident victims quicker. Another point that Jones brought up – which he sourced from another industry, and not from the auto insurance industry – was that insurers can change anything they want about their policies and rates charged to consumers. In reality, the PUB must approve any rates that auto insurers charge their customers. Full stop. The PUB has the power to reject rates if they are not actuarially justified. I suggest that a reporter wouldn’t interview a mechanic about nursing issues, nor would they use information from a teacher to formulate a story on the construction industry. So why is misinformation from the sound bites of another industry being used to report on the auto insurance industry? Let’s set the record straight. Fact: insurers have left NL because they couldn’t make a profit. Fact: according to General Insurance Statistical Agency data, NL insurance companies paid out more in claims and expenses than they brought in in premiums in 2017, and 2016, and 2015. Indeed, this is the case for each and every year between 2010 and 2017. Also fact: if the landscape doesn’t change soon, the insurance companies currently operating in NL will need to make some tough decisions.